Named Peril or All Risk Insurance - What's the Difference? You've likely heard about Named Peril or All Risk Insurance, but what's the difference and which provides you the coverage you need? Insurance is incredibly confusing for the average consumer, often leaving them stressed over what insurance coverages they need, and what is and is not covered by the policy they are being quoted. For this reason, we always recommend homeowners contact a Local Insurance Agent able to walk them through these coverages and help them build the right policy that offers the right coverages for them, at the best cost. You simply can't and won't get that kind of help and expertise when purchasing via the Internet. Often, homeowners purchasing insurance online, without the aid of a Local Insurance Agent, are dismayed once they experience a claim to find that they did not have the coverages they thought they had. In our business, we find this more and more. 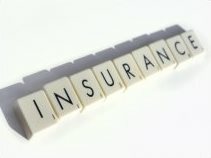 Please also check out our other stories on Understanding Your Insurance Policy. While there are many different options, coverages, exclusions, and endorsements that you should discuss with a Local Insurance Agent, we wanted to take a moment to discuss the difference between Named Peril and All Risk coverage. While generally cheaper, named peril insurance only offers coverage for claims that are explicitly defined within your policy. For instance, your named peril policy may list Fire as a named peril, while offer no insurance coverage for claims involving water such as a Pipe Break. There are countless variations on named peril policies available, but all leave you exposed to some uncovered and not listed peril. Additionally, in the case of named peril policies, the burden is on the consumer to prove that one of the named perils actually caused the loss and damages. While this may seem like a minor issue, it can become complex, requiring the added expense and delay of hiring investigators, testers, and engineers, often at the consumer's expense. It's often to the Insurance Company's advantage that you select this type of policy, because it provides very limited coverage, and payouts are seldom made. Also known as Comprehensive or Open Peril, all risk insurance offers coverage for everything except what has been excluded within the policy. While more expensive than a named peril policy, all risk insurance offers a much broader coverage, offers a much simpler claims process, and is usually the best value. All Risk Insurance Policies do provide much broader coverage, offering coverage for claims that you may not have predicted, and this does give you peace of mind that a Named Perils Policy simply does not. In the case of all risk insurance, in order to deny your claim, the burden is on the Insurance Company to prove that the cause of loss is specifically named as excluded from coverage, which can greatly simplify the claims process in the event of a claim. Additional coverage may also be available separately to remove some exclusions in the all risk insurance policy through endorsements to the existing policy. Common exclusions are Mold, Flood, Earthquake, Sewage Backup, and Pest Infestation, but your Local Insurance Agent is happy to go over the exclusions with you and make recommendations as to what you may want to elect to have additional coverage for. So which one's better? We'll let you make that decision yourself, but we strongly recommend having this discussion with your Local Insurance Agent before purchasing a policy that may not provide the coverages you need. We hope you found this information helpful! Should you suffer a property claim and have a need for any of our services, please do not hesitate to Contact Our Offices, we're always happy to assist!